The Henry Center is hosting several excellent events this month in Deerfield, IL. We would be most pleased if you were able to attend one or more of these events in person. This week has marked the second iteration of the Center’s Timothy Series. Held in conjunction with the TEDS chapel, the Timothy Series is designed to celebrate pastoral ministry at the divinity school by bringing experienced pastors to campus to preach in chapel and to spend time in meaningful conversation with students about ministry. Pastor Steve Farish of Crossroads Church in Grayslake, IL spoke this past Tuesday, and pastor Lee Eclov of the Village Church of Lincolnshire will preach in chapel tomorrow, April 3rd. Following the chapel addresses, students are invited to a free lunch at which a question and answer session is held with the pastor. The campus has responded warmly to this young series, as all three lunches we have held thus far have been packed with students and full of interesting discussion. On Wednesday, April 9, Dr. Craig Blomberg of Denver Seminary will deliver a Scripture and Ministry lecture titled, “Neither Poverty Nor Riches: On the North Shore? 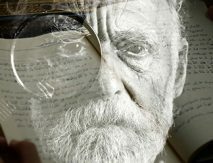 You Must be Joking!” Dr. Blomberg, an eminent New Testament scholar and prolific author, has studied and written extensively about a biblical theology of possessions. His lecture will distill some of the biblical insights found in his book Neither Poverty nor Riches (Inter-Varsity Press, 1999), and his Bible study guide, “Heart, Soul and Money” (College Press, 2000). The lecture will begin at 3:00 pm in Trinity Chapel. Free refreshments will be served before the lecture and a question and answer session will follow it. The lecture is open to all and is itself free, rich though it promises to be. On Thursday, April 10, the Center hosts the first installment of the new Trinity Debates. The question for the debate is, “Can a Christian Be a Religious Pluralist?” Dr. Harold Netland (TEDS) will argue against, and Dr. Paul Knitter (Union Theological Seminary) will argue in favor of religious pluralism. Dr. Netland’s book on the subject, Encountering Religious Pluralism: The Challenge to Christian Faith and Mission (Inter-Varsity, 2001), won a 2002 Christianity Today book award. For his part, Dr. Knitter has been writing on the subject of religious pluralism for over twenty years. This debate is free and open to the public. It will begin at 7pm in Kantzer Lecture Hall at TEDS and will be webcasted live on the Henry Center website. Check the site on the night of the debate to tune in. On Tuesday, April 22 and Thursday, April 24, Pastor Stan Archie will speak for the Center’s Timothy Series. Pastor Archie is the founding pastor of Christian Fellowship Church, in Kansas City, Missouri, where he has served since 1989. He strives to help people develop a biblical alternative for living in every area of life, leading his church to minister in a holistic way to the physical and spiritual needs of community. On both Tuesday and Thursday, Pastor Archie will preach in the TEDS chapel service at 11:00 am and participate in a lunchtime question and answer session after chapel in Hinkson Hall (Rodine Building). We wish you a profitable and blessed April, and welcome any comments or questions you may have about our upcoming events.